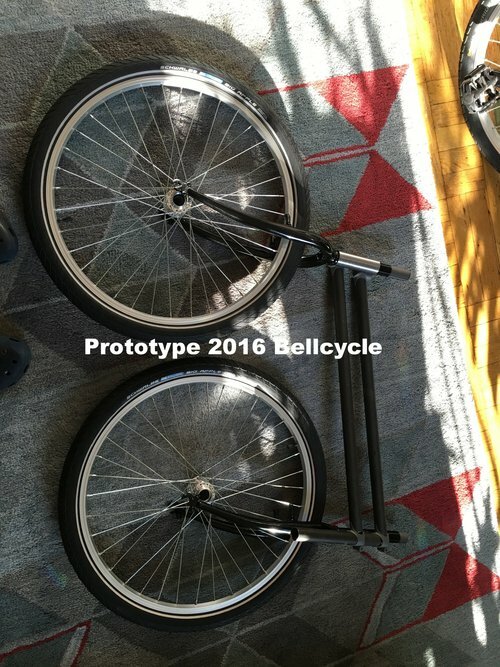 What would a tandem cycle with this design look like? I decided to return to the brazing torch and try it out. In the process I wanted to check some assumptions. *Is the rear pivot/second degree of freedom really that important? *What if the cycle is heavier with weight on the back? First I tested with no pivot between the two wheels and no spring. It was as before, rideable but just. Not fun. Then I cut the bars and added a pivot in. Rideable and fun. 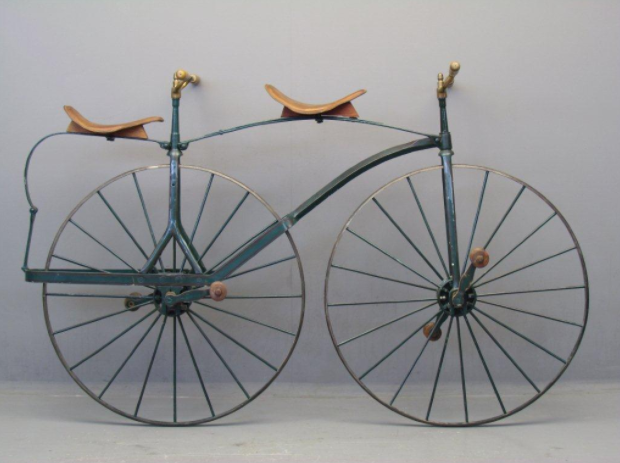 I did find a picture of what looks like a similarish design for a tandem penny farthing. 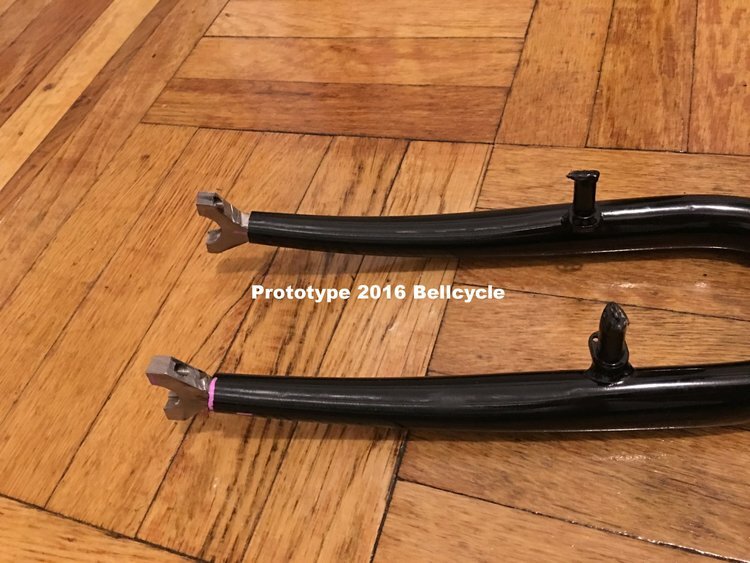 However, as far as I can see there is no rear pivot. So riding this was probably a little challenging.